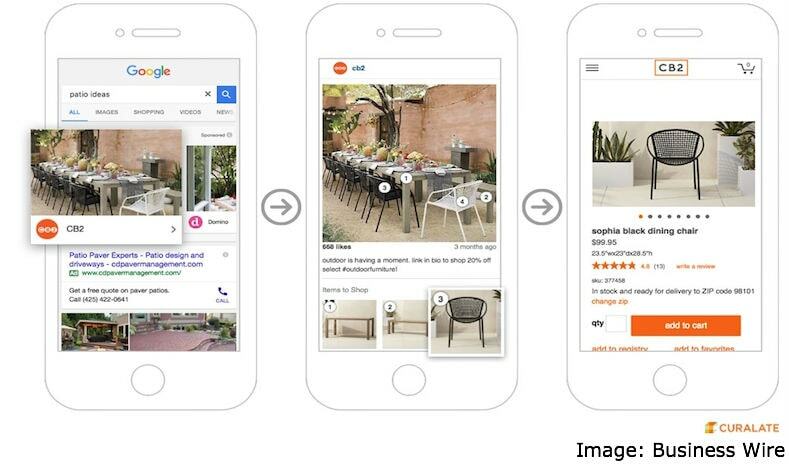 Google last year added ‘Purchases on Google’ or ‘Buy buttons’, making it easier for mobile users to shop while using Google Search. This was part of the company’s attempt to lure customers to its site rather than shop via Facebook or Pinterest. Google’s aim was to simplify the process of searching and buying products. In an attempt to make mobile shopping even simpler, Google is now testing a new format called ‘Shop the Look’ that lets you search for specific outfits and home décor options, showing pictures and purchase links within ‘Shopping ads’ on the search engine. This means users will not have to switch to a different website to purchase the outfit or home decor. To get the format going, Google is partnering with sites like LiketoKnow.it, Curalate and yahoo-owned Polyvore which are platforms that allow fashion bloggers to make money from their posts. Essentially, Google will source the content from these sites and pull the photos and affiliate links when a search related to that particular outfit or home décor option is initiated. Users can select one of the looks, which will then show similar products related to the choice. Where users would previously use social apps like Instagram or Pinterest to follow their favourite fashion blogger and home decorator, they can now find their favourite blogger and purchase related options directly through Google’s engine without the need to use an app. This is what Google hopes to achieve with the ‘Shop the Look’ app. This new feature could not only be beneficial for Google but also for fashion bloggers who until now have to use platforms like Polyvore to earn. By hopping on to Google’s engine, these bloggers can be discovered by a wider audience. Bloggers and retailers who want to show their products within the Shop the Look experience will need to create a shopping campaign, and optimise their bids for mobile. The ‘Shop the Look’ feature is currently being tested in the US.